Although permanent teeth are meant to last a lifetime, sometimes it is necessary to have the tooth removed. The most common reason is a tooth is badly damaged from decay or trauma, and is beyond repair. There are also times when a dentist will pull a tooth to prepare a patient for orthodontic work. Sometimes a mouth is a bit too crowded with teeth, and to get sufficient space for proper alignment, a tooth has to go. 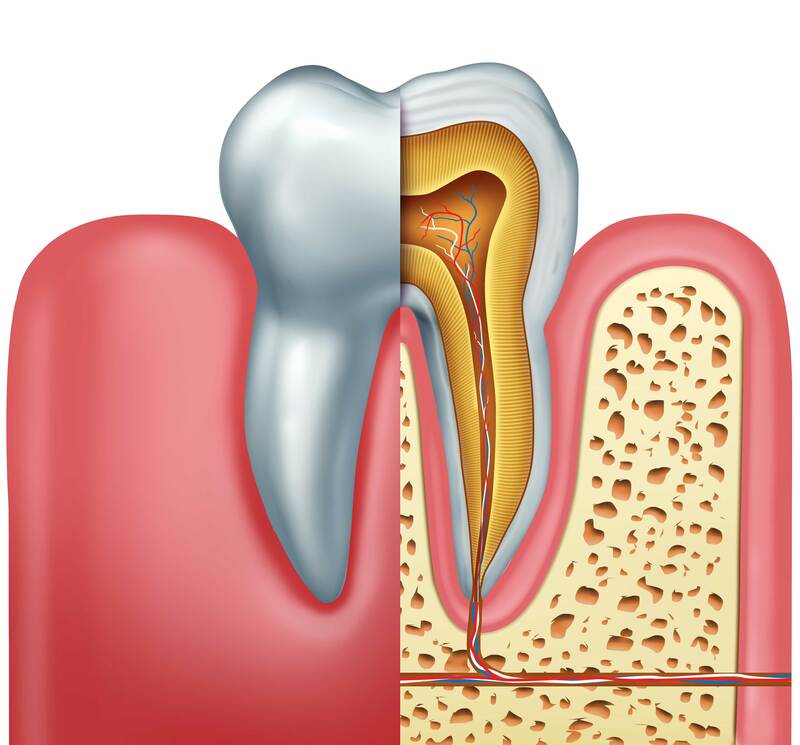 If a tooth has a severe infection that extends to the pulp, the center of the tooth that has blood vessels and nerves, dental extraction may be the only solution. Additionally, patients who are undergoing chemotherapy, or having an organ transplant, their immune system is not 100%. Consequently for these patients, if a tooth is even at risk of becoming infected, dental extraction may be required. Furthermore, if you have gum disease, also known as periodontal disease, that has grown severe enough, it can cause teeth to become loose. As a result, dental extractions may be required in some of these cases. 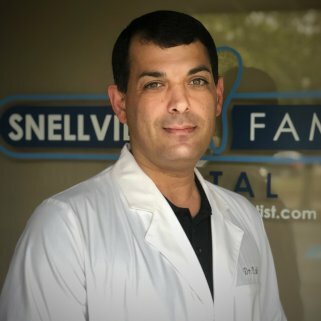 Because your Doctor’s top priority is to give you the healthiest mouth he possibly can, Dr. Nabi and Dr. Socoloff will explore other options before extracting teeth in order to maintain your best natural smile. For example, other options may include antibiotic therapy, SRP , root canals , and crowns. These options are often cheaper in the long run than getting an extraction because any treatment after an extraction to replace the tooth tends to be costly. Moreover, empty spaces in the mouth after extractions can result in shifting teeth and lead to other issues in the future. Additionally repairing a tooth rather than extracting it helps maintain the natural alignment of teeth and uphold the jaw bone density. Sometimes however, an extraction is the best course of action. Simple tooth extractions are, as the name implies, simple. Generally this type of extraction occurs when the tooth to be removed is either fully or mostly intact. Ultimately once loosened, the tooth can be removed through the use of forceps. Conversely, surgical extractions are not quite as simple as pulling the tooth out of the gums. For the most part, surgical extractions of the tooth may be required when a tooth has severe internal damage, is broken, is impacted (has not emerged from the gum line), or is not strong enough to be pulled out in its entirety. When a tooth is removed surgically, your Doctor will first make an incision in the gum. Finally the Doctor will then remove the tooth particles and use stitches to help the site heal properly. 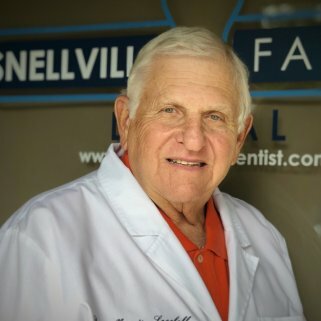 Before Dr. Nabi or Dr. Socoloff can begin the extraction, he will inject a local anesthetic into the surrounding gum and lip to numb the area around the affected tooth, which will ensure that you don’t feel pain during the procedure. Typically extractions take anywhere from 30 minutes to 90 minutes, depending on the severity of the tooth and the location of the tooth. Although extractions are a fairly quick process, the healing time can take up to a few days. Most likely if the tooth to be pulled is impacted, your Provider will use sedation anesthetic to put you into a light sleep so that you won’t remember the procedure. As a result, this will require the procedure to be referred out to an oral surgeon, as surgeons have more extensive equipment than general dentistry offices. Once that has set in, your Provider will open the top portion of the gum to reveal the tooth, and will then work the tooth loose from the jawbone by rocking it back and forth. Whether erupted or impacted, the site will be closed with sutures following the extraction. After the tooth has been removed, it is common for a blood clot to form in the socket. Consequently, your Provider will place gauze into the socket and have you bite down on it in order to stop any bleeding. In some cases, the blood clot within the socket can break loose. Since this exposes the bone, it is a very painful condition referred to as a dry socket. Therefore, if this occurs the dentist will most likely place a dressing over the socket to protect it while a new clot forms. Due to potential soreness, painkillers are often prescribed by the Doctor to help with the healing process. Additionally it is recommended to apply ice regularly to the area to reduce inflammation. Above all, patients are urged to not drink from a straw for at least 24 hours, not smoke while the area heals, and to eat soft foods. Usually our Doctors can perform necessary extractions, however they will refer out if the case is complicated. For example, an extraction can be complicated due an infected tooth that is too close to a sinus cavity, though there are many reasons a case can be complicated. Oral surgeons have more extensive equipment that make those rare complicated extractions safer and more comfortable for the patient. Additionally, oral surgeons are licensed for stronger anesthesia, allowing them to put patients fully asleep for the procedure. However, for extractions that are easily accessible and not near sinus cavities, our Doctors will perform those procedures. Wisdom teeth can often be considered complicated cases due to how far back in the mouth they are located. Nevertheless, Dr. Nabi and Dr. Socoloff will conduct a comprehensive exam of the mouth before determining if they are able to perform the extractions. With wisdom teeth, the extractions are commonly complicated by their proximity to sinus cavities and the difficult location. Generally, our Doctors will refer patients to an oral surgeon for the upper wisdom teeth for these reasons. In any case though, patients must consult with their general dentist first before seeing an oral surgeon, who accept cases by referral only. Can Anything Be Done After an Extraction? Patients have many options following a dental extraction. For the most part, open regions of the mouth due to extractions can lead to teeth shifting or even the supra-eruption of other teeth. For example, a supra-eruption occurs when the natural bite is lost due to an extracted tooth, and the tooth opposing the space begins to erupt out of its socket. 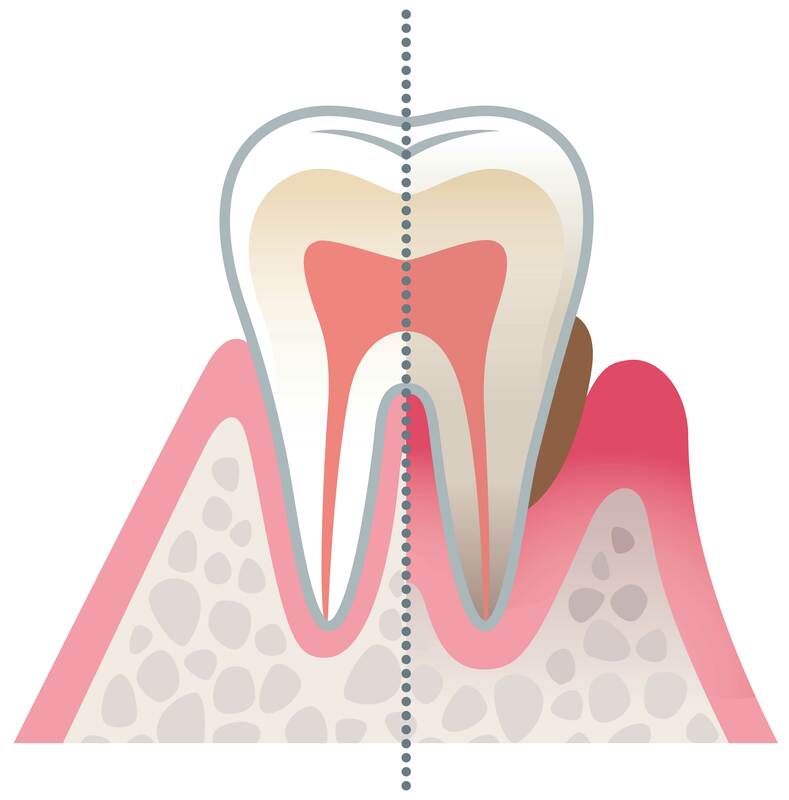 Additionally, bone density is naturally lost over time following the removal of a tooth. As a result of this bone loss, this can lead to sagging of the skin, causing patients to appear older. While not all patients may be ready to pursue any other treatment to replace the tooth, patients who do not want any empty spaces in their mouths, or future problems, have options. Dental Implants are one option to recover a full smile. Implants offer a natural-looking solution that is easy to care for, long-lasting and looks great! Unlike fixed bridges or removable dentures, dental implants will not affect neighboring teeth, lead to the loss of bone support, or contribute to sagging of the soft tissues of the face. Furthermore, when appropriately cared for dental implants can last a lifetime. 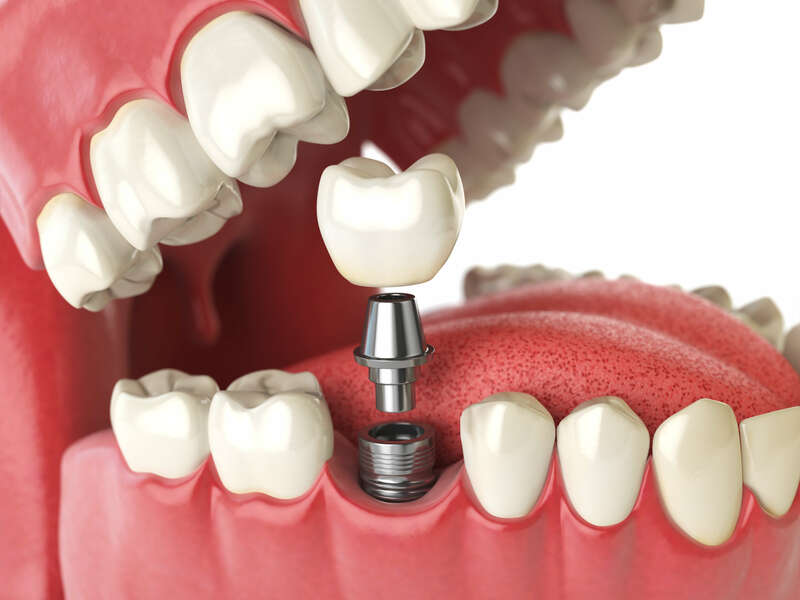 See our page on Dental Implants for more information on this procedure. Alternatively, Dental Bridges offer a non-invasive option to fill the gap from an extraction. 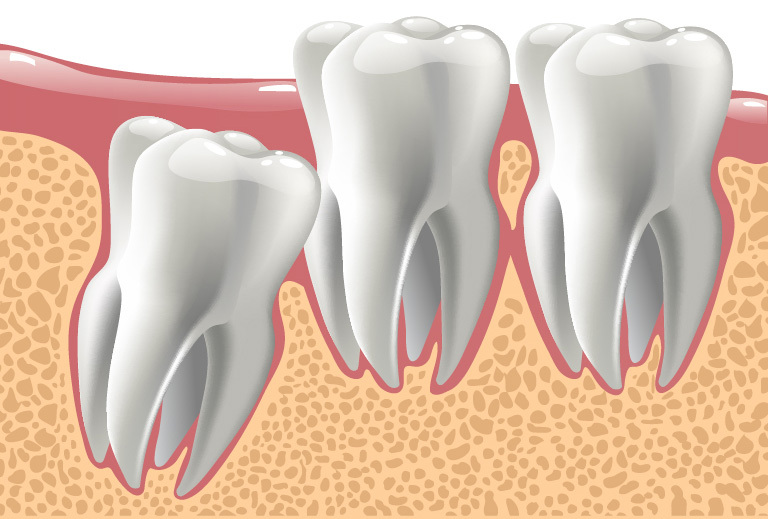 Dental bridges are an effective way to bridge gaps between teeth caused by one or more teeth that are missing. On either side of the gap, a dentist will place a dental crown. As a result, these crowns will act as an anchor for a pontic, or a false tooth. Additionally, dental bridges can be made from a variety of materials, and Dr. Nabi and Dr. Socoloff will work with each patient to determine the best course of action for their needs. 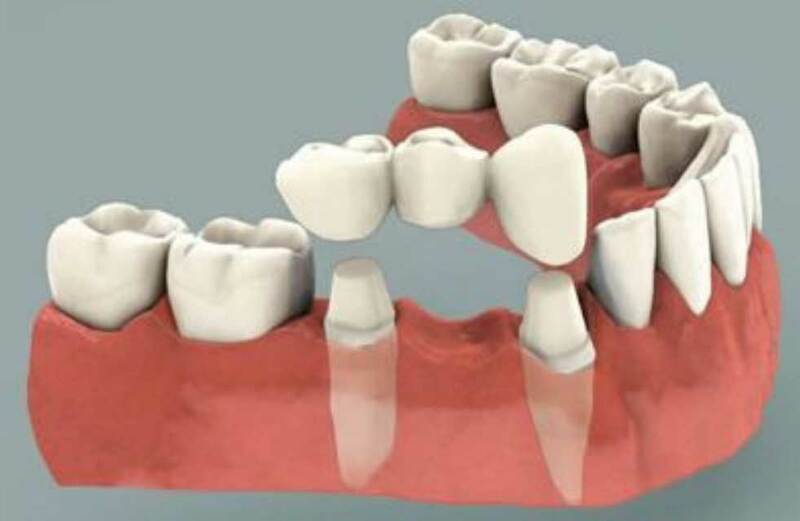 See our page on Dental Bridges for more information on this procedure. Furthermore, other options include partial dentures, full dentures, and implant-supported dentures. See our page on Dentures for more information on these alternatives. Before your Provider can recommend any treatment, including extractions, he will need X-Rays to determine the best course of action. 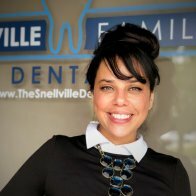 For instance, if you have one area of your mouth that is bothering you, you can get a limited exam, including the X-Rays; on the other hand, for patients having pain or issues in more than one area, the Doctor will recommend a comprehensive exam to evaluate the state of the entire mouth. If you are a New Patient with us, you can bring X-Rays from a previous dentist, and your Doctor will give you a free second opinion. Below is pricing for out-of-pocket treatment, and it does not include pricing for patients with insurance. Insurance will often cover a portion of the treatment. Patients can give their insurance company or HR department a call for a full list of benefits and to get a percentage of coverage for teeth extractions. 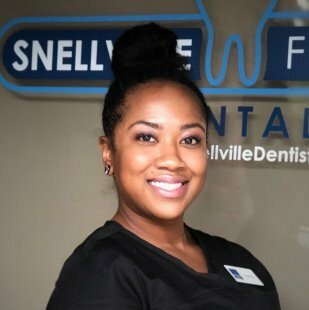 As a courtesy to our patients, Snellville Family Dental will file dental claims for patient treatment. Currently we are offering $99 extractions for simple and surgical extractions to patients who purchase a denture. 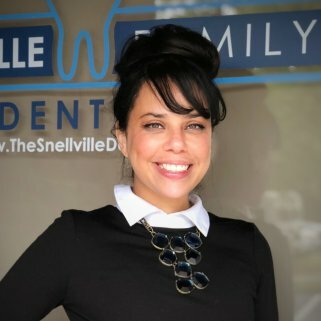 At Snellville Family Dental, we want to make getting a partial or complete denture easier for patients who need their smile restored. There is no limit to the number of extractions done in the visit, and they can be both simple and surgical if need be. To qualify, patients must purchase a denture, which can be either a partial or complete, at the extractions visit. We do offer in-house financing options, and we accept both CareCredit and Lending Club. Getting a tooth extracted is a very safe procedure. However, there are risks with any medical or dental procedure that involve infection and opening of tissues. Dr. Nabi and Dr. Socoloff will describe these to you in full detail during your consultation. 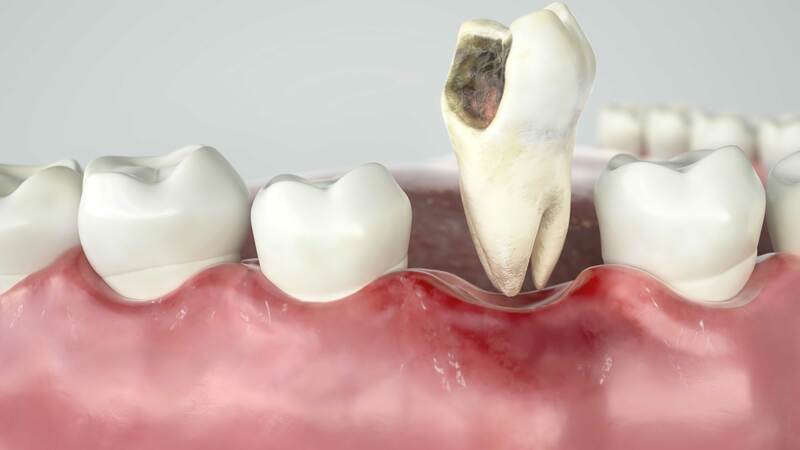 Though there is a small chance that extracting the tooth can introduce bacteria into your bloodstream, it is not common. In addition, your gum tissue can be put at risk of infection. For example, if you know you have a condition that puts you at a higher risk than normal for an infection, antibiotics may be needed before and after the dental extraction. First, make sure to brush and floss your teeth as you normally would but being careful around the extraction site. If you experience pain several days after the extraction, you should make an appointment for a follow-up, as it is possible that extraction site has become infected or the blood clot has broken down. Furthermore, patients may need to return to the office to have sutures removed, or just for a brief follow-up healing check. Swelling and bruising is to be expected following an extraction; it will reach its peak 2-3 days after surgery and subside within the next week. If new swelling arises 5-6 days after the extraction or if pain increases, please call for a check-up. Additionally, bleeding is expected during the first 1-2 hours after surgery. After this period, slight continued oozing is expected for 24-48 hrs. The salt water soaks/rinses are designed to help keep surgical sites clean. If you were given an antibiotic prescription, take it as directed until it is gone. Also for women taking oral contraceptives, some antibiotics can reduce the effectiveness of birth control pills. Thus, it is recommended to use alternate birth control methods for two months following the extraction. 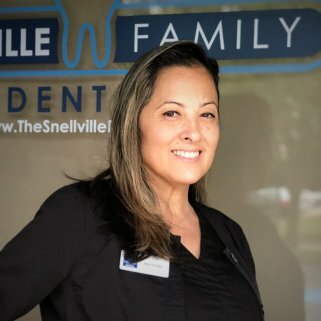 If you have a tooth that is causing you pain, Our Providers at Snellville Family Dental in Snellville, GA have years of experience in extractions. 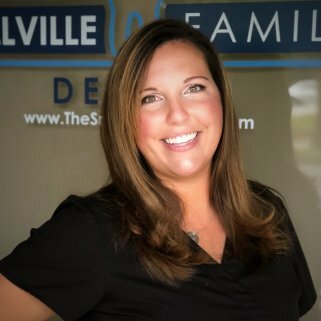 Above all, Dr. Nabi and Dr. Socoloff work with their team of experienced and professional dental lab technicians to put you at ease, and make the procedure as easy and painless as possible. 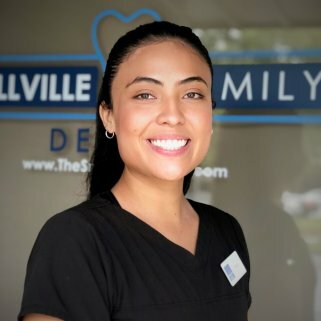 If you want to learn more about dental extractions, or any of our other dental restorative procedures, please feel free to Contact Us and schedule a consultation with one of our Providers so he can review your case.